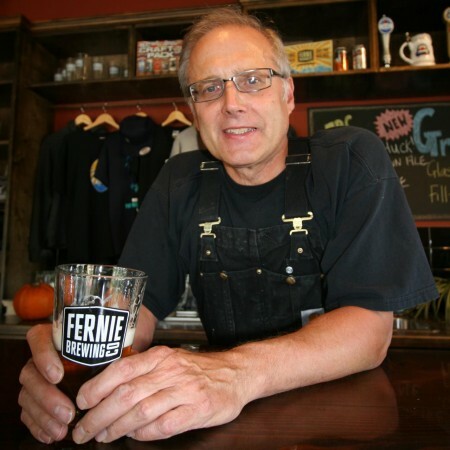 FERNIE, BC – Fernie Brewing has announced that brewmaster Gord Demaniuk sadly passed away on September 15th after a battle with cancer, although his family will still be represented at the brewery thanks to the hiring of his eldest son Jeff to fill his position. The elder Demaniuk joined the Fernie team in 2011 with more than three decades of experience in Canada’s brewing industry behind him, starting with Carling O’Keefe and Molson in the 1970s and 1980s, and followed by stints at a number of smaller breweries throughout Western Canada. Jeff Demaniuk has also manned the tanks at several breweries in Alberta and British Columbia, and has most recently been working as Head Brewer at Trolley 5 in Calgary. He and his wife Erin will be relocating to Fernie this winter, and Jeff will take on the Head Brewer position at Fernie Brewing in early 2017. For more details, see the full announcement on the Fernie Brewing website.